Dr Michael D Grant, CTO at DataProphet, is a complex engineering problem-solver and inventor. He is a machine learning expert, with experience in delivering holistic and robust engineered systems. Dr Grant is passionate about developing teams to deliver value into businesses. He is the recipient of the Keith Plowden Young Achievers Award, for the most outstanding electrical engineer (2011). In 2012, he won the International Electrotechnical Commission's Young Professional for South Africa. 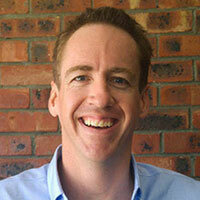 Dr Grant is a member of the South African Institute of Electrical Engineers and a registered professional engineer. He received his BSc, MSc and PhD degrees from Wits University.